This beautiful timber vanity is the perfect way of turning your bathroom into a luxurious haven. 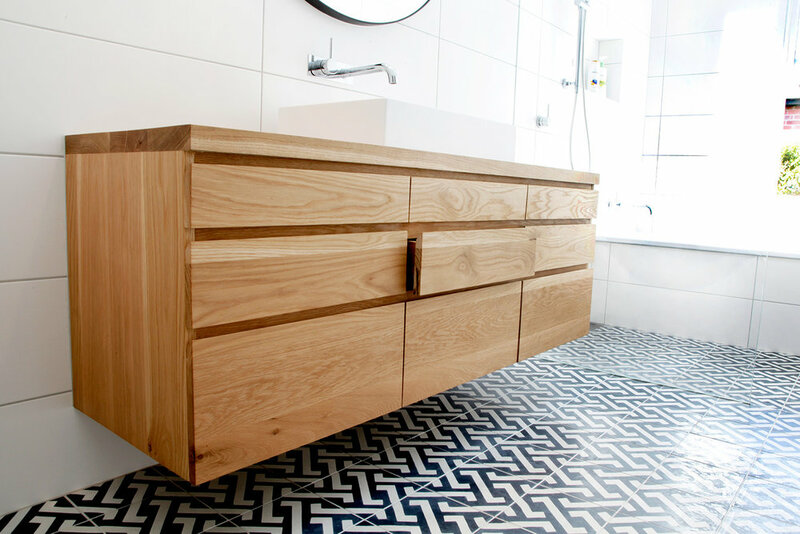 The subtle swirling grains of the timber ensure that the vanity would suit nearly all bathroom aesthetics. The front of this piece is created from gorgeous straw blonde American Oak timber that flows continuously across from one side of the vanity to the other. The configuration of this piece can be personalized to suit your needs. The internal structures and drawer boxers of the Ballina vanity can be created from melamine, birch ply or solid hardwood timber. The timber has been sealed with a high performance oil and wax finish called Osmo. This finish creates a water resistant barrier whilst leaving the timber looking and feeling like timber. 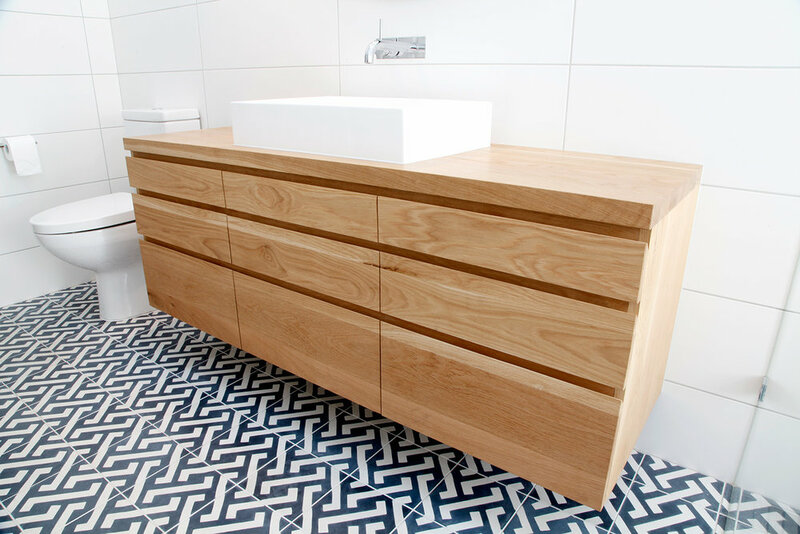 To find out what makes our vanities so special, click on the link! finish Osmo natural oil and wax. More info here.